Here for a moment, loved for a lifetime. 6x6 tumbled concrete stone that would be beautiful indoors or out. 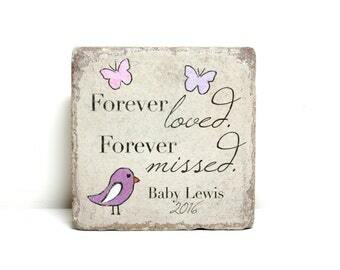 Personalized with the name or date you need and choice of bird and balloon colors. 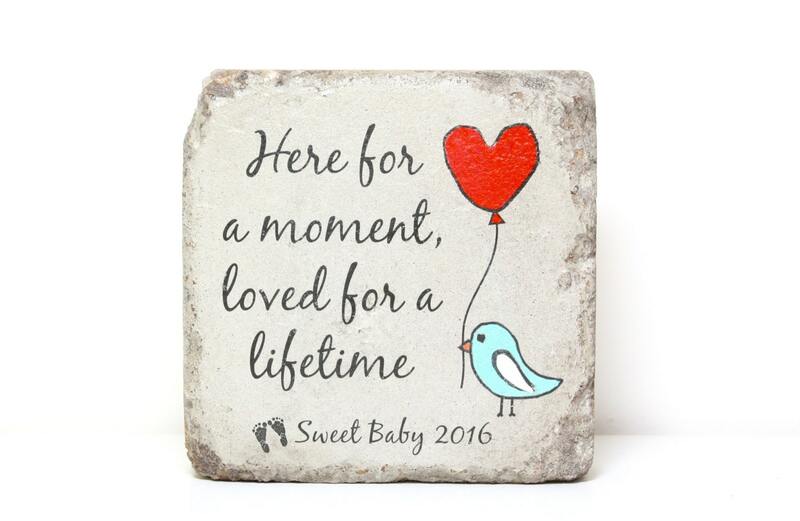 This stone also has a special concrete "wash" added that gives it a very smooth finish and allows the colors and words to "pop". 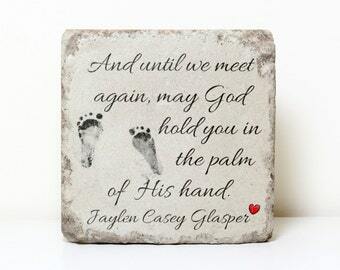 A beautiful, simple, yet meaningful indoor or outdoor miscarriage or infant loss memorial. Heavy, 6x6 rustic tumbled stone. 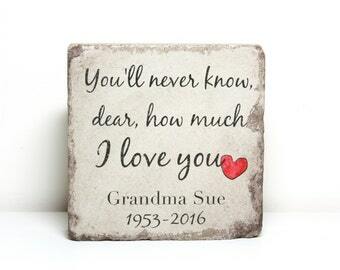 (free felt pads included for indoor use) This could be used as a book end, shelf decor or outdoor memorial. This stone is extremely classy and is something you won't find anywhere else. There is no vinyl used in creating this stone. It is a unique combination of inks and paints and all materials are suitable for outdoor use. NEED IT ASAP? Choose the "RUSH MY ORDER" option at checkout and I will get it created within 1-2 business days. ✹ EXPECTED TIME FROM ORDER TO SHIPPING... From 1-4 business days (depending if the item in stock and the amount of stones I am working on). 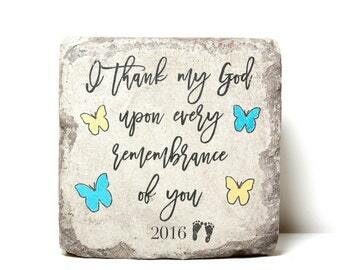 Every year (for the past 11 years now) I search for the perfect little gift or angel statue to adorn our beloved son's grave and this year I found this amazing stone. It is absolutely perfect! Thank you! It is simply perfect. Exactly what I was expecting and it came so quickly. The packaging was done so thoughtfully. No worry of damage that’s for sure. We are waiting for the weather to break here in Ohio to place it with a butterfly bush in our garden. I would definitely purchase again if and when the need arises. Thanks so much!